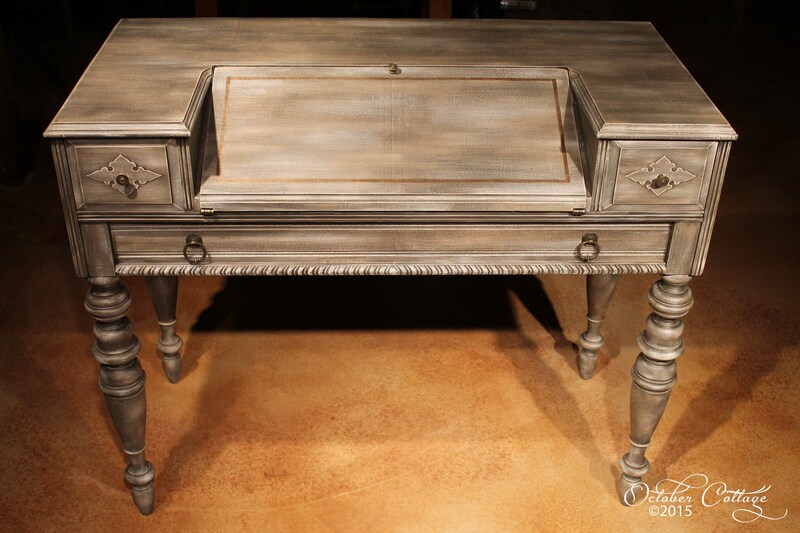 Gorgeous 1920’s spinet desk, with a multi-layered finish. Multiple drawers with French maps provide great storage, and inset pigeon holes for letters or envelopes keep things organized. 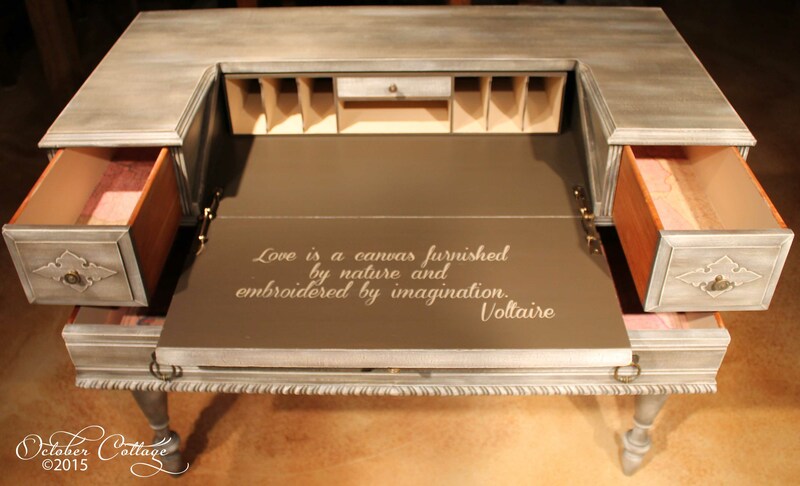 Open the desk and you’ll find a hand-lettered quotation from Voltaire. All of these details make the piece one of a kind. 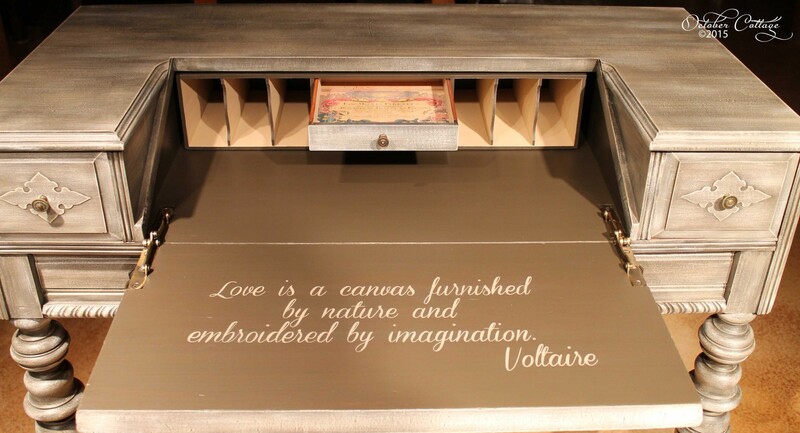 Each of the four drawers has a French map that you will enjoy each time you open one!